Sassy, smart and definitely the best-dressed fairies in town! The super-stylish Fashion Fairy Princesses are off to a party in Glitter Ocean. They set off in a pearl-encrusted shell boat, wearing full-length mermaid gowns. But when the boat gets caught in a glitter storm, the fairy princesses are stuck. 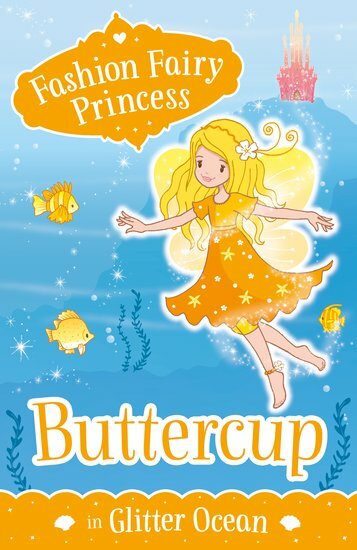 Buttercup calls out to some friendly seahorses, who give the fairies a ride to Coral Castle, deep in the sparkly sea. Trouble is, their clothes have been ruined on the hazardous journey. Can some twinkly mermaids help the princesses get ready in time?